Cleveland Funeral Home announces that Billie Jo Peterman, age 88 of Cleveland, Georgia passed away on September 30, 2018. Mrs. Peterman was born on March 20, 1930 to the late Albert Woodruff and Bessie House in Austin, Texas. She remained in Austin for some time, receiving her high school education from Austin High. 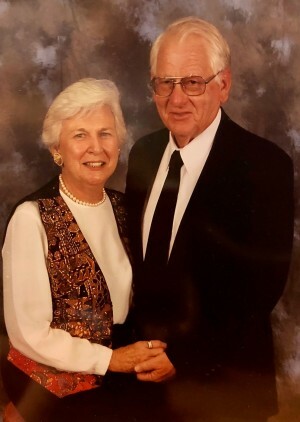 Billie and her loving husband and best friend of 70 years, Herbert Peterman have lived in Cleveland, Georgia for the last 18 years. They are members of Helen Presbyterian where Billies beautiful voice will be sincerely missed, ringing out in the choir loft. Out of all of the many talents and attributes that Billie possessed, we all know that she would like to be remembered as an Artist, self taught musician, wonderful homemaker, and a very competitive Tennis player. In Addition to her parents, Mrs. Peterman is preceded in death by her son, Mark Peterman and a sister, Joy Yates. She is survived by her husband, Herbert Peterman of Cleveland. Daughter and Son in law, Kitrina (Jake) Asuit of Cleveland. She is also survived by 3 Grandchildren and 8 Great Grandchildren. It was Mrs. Petermans wishes to be cremated. No public services will be held at this time. Cleveland Funeral Home is in charge of all arrangements. Cleveland Funeral Home, a division of The McDonald Family Funeral Homes.